Published by the Badsey Society, October 2014. 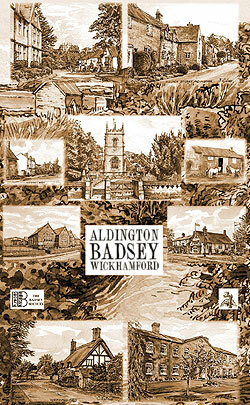 This new tea towel has been designed by artist Ian Gibson and features his drawings of old buildings in Aldington, Badsey and Wickhamford. Printed in sepia. Machine washable.